Glenn has a Camp Echo Lake perspective unlike anyone else in the world. 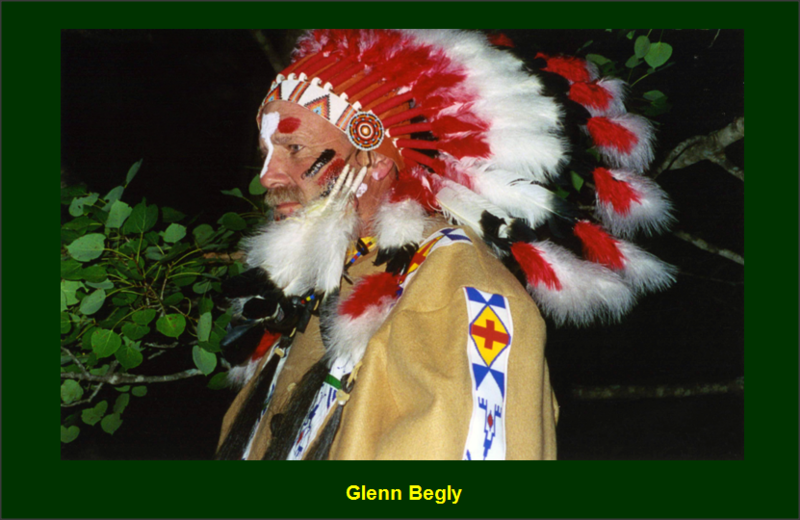 Originally from Baltimore, MD, Glenn raised his family in Warrensburg, NY. By way of the woods, Camp Echo Lake is literally an extension of his backyard. Glenn and his wife, Terry, keep tabs of the goings-on in Warrensburg during the off season, and share their updates in a column called “Your Big Backyard” in the camp’s Trail Newsletter. This will be Glenn’s 45th summer at Echo Lake. Through the years, Glenn has held a number of different roles, some of which no longer exist. In addition to his numerous years as the Program Director, Glenn worked on the waterfront staff and also as a Cabin Specialist back in the day. Terry, is the current Waterfront Director, and all three of their children have attended and worked at Echo Lake as well. Their oldest children, JP and Ally are proud Echo Lake alumni, and their youngest child, Corey, is a Co-Director of the LIT program. With 35 years of coaching experience at the college basketball level, Glenn is the ideal person to oversee the basketball program. He also supervises all inter-camp games and tournaments. As Ombudsman, Glenn’s role is somewhat vague, but very important nonetheless. Just as his relationship with the Stein family has evolved, so too has his role within the camp. Tony Stein jokes that Glenn’s role is hard to describe, and Glenn jokes that his role is to do whatever Tony wants as soon as he asks him to do it. Glenn was hired by Morry Stein in 1970 with Tony by his side. Since that time, things have come full circle, as he now reports to the little boy who was there when he was hired. Glenn is the only person at Echo Lake that can say that he has given Tony a shoulder ride, yelled at him during a basketball game (as his college coach), and has cashed a check with Tony’s signature on it. I was looking for a change of pace when I came to Echo Lake. I was working in construction, and the baseball coach at the college that I attended – UMBC (University of Maryland Baltimore County) – had worked for Echo Lake and told some of us about it. I was hired by Tony Stein’s father, Morry, in 1970. When we met, he had a little boy with him (Tony). Morry ended up being one of the most important people in my life, and I looked up to him as a hero. My camping experience was Boy Scouts and Explorer Scouts. We paid $25 a week to paddle 150 miles down the Potomac River, camping the whole way. Growing up in Baltimore in the 60’s, I never knew that full-summer sleepaway camps existed before coming to Echo Lake. Although Echo Lake has changed with the times, it remains the same on the most fundamental level. It is a magical place where children and staff form a sense of belonging that will be with them wherever they go in the future. Being a part of the Echo Lake community has played an integral role in the development and success that my children have enjoyed as they’ve grown up. Right now I work in the local schools and coach basketball. I consider myself to be the luckiest person in the world! My wife, Terry, and I actually live in Warrensburg, NY. The lot that our house is on is surrounded by camp property, so Echo Lake is literally our back yard. Besides being our summer home, Echo Lake is our actual home! Terry and I met at camp in 1977. She has taken on various roles through the years at Echo Lake, and is currently the Waterfront Director. Our three children, JP, Ally and Corey all grew up at Echo Lake. JP was a Basketball Specialist and LIT Director. He met his wife, Alison, at camp when they were 16 years old. They were married at camp two years ago. Ally was a Cabin Specialist, Group Leader, and Girls Head Counselor. And our youngest child, Corey, was a Basketball Specialist, Group Leader and 4n4 staff member. This year, he is a Co-Director of the LIT program. Terry and I hike, snowshoe, bike and ski in the Adirondacks. I have also been known to catch a few fish. There are way too many to even narrow down! For a variety of reasons, not the least of which is the fact that we consider the Steins to be amongst our closest friends, Alawatchakeema stands out above all others. (Click here to read Glenn’s article “The Origin Of Alawatchakeema”). When your life is so intertwined with Camp Echo Lake, as my family’s is, it is impossible to eliminate any of the memories. But there is one memory that ties into my family and Echo Lake that I can share. I’m sure that every camp has a story about people meeting there and eventually getting married. Echo Lake seems to have a huge number of these stories, including my own son, JP, and his wife, Alison. JP and Alison met at Echo Lake when they were 16 yrs old, and have been together ever since. Not only did they meet at Echo Lake, they also got engaged and married here as well. The engagement took a lot of planning, and JP even got Tony to be a part of it. There are certain times of the year when alumni come up to visit. JP arranged to have a number of his and Alison’s friends come up for Friday Night Services. In the middle of one of the songs, the piano player broke into “Here Comes The Bride,” and JP proposed to Alison in front of 700 people, most of whom had no idea who they were. It was an unforgettable proposal. They subsequently had their wedding at Echo Lake, and it was like a camp reunion. I would say that at least half of the people in attendance had ties to Echo Lake in some way.